I’m in new york city and it’s extremely hot today ! So, today’s post is something that will cool you off. 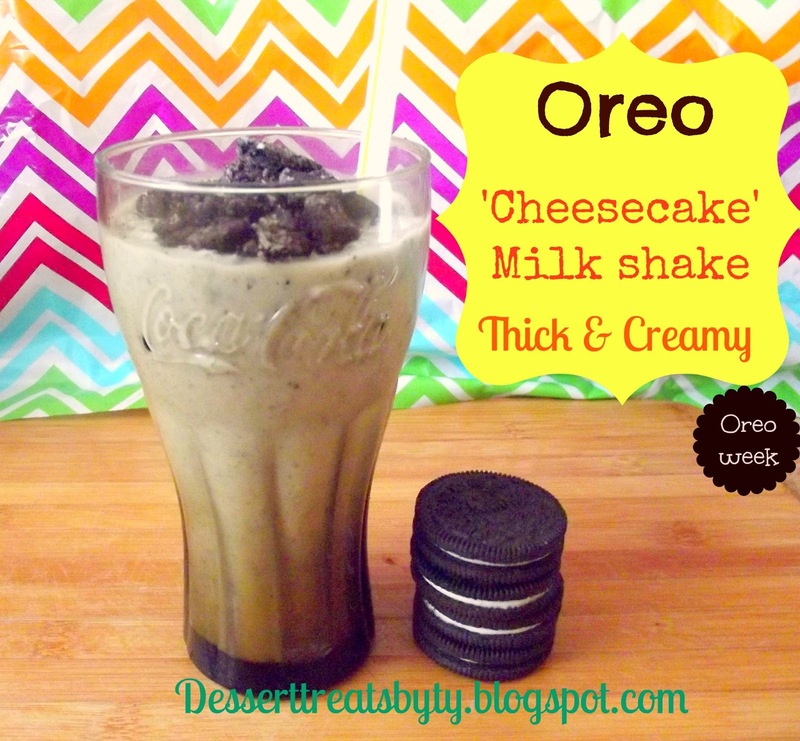 Oreo ‘cheesecake milk shake thick and creamy ! AHHH…… so good. Low-fat ice cream and milk. With neufchatel cream cheese. Quick, easy and delicious ! 1 Chop 4 Oreo finely and set aside. 2.Take remaining cookies and place in blender. Then add milk, ice cream, cream cheese and vanilla and blend until smooth. 3.Pour into each glass and top with chopped cookies . Serve immediately.